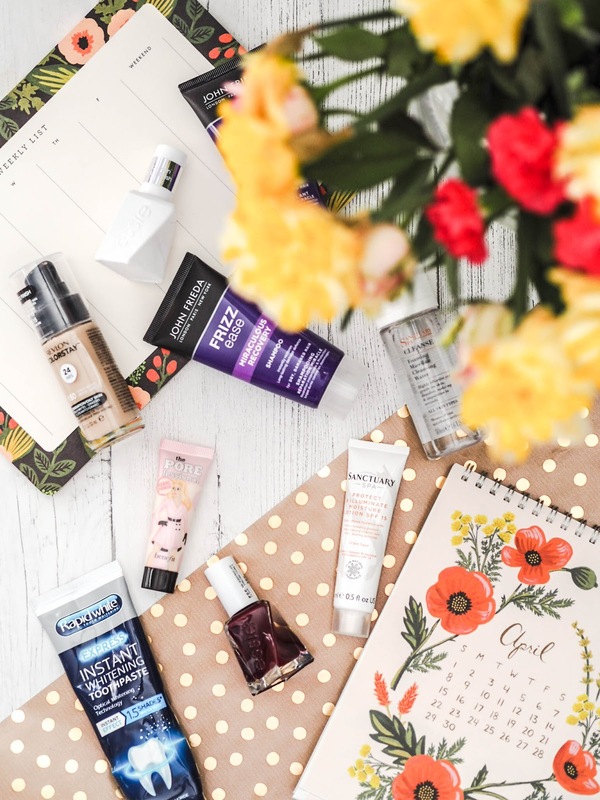 I love a good Boots haul, there is just something so satisfying about buying yourself a couple of new treats, and a few old favourites for that matter, to perk you up! Whilst looking after Phoebe I forgot to pack any shampoo. 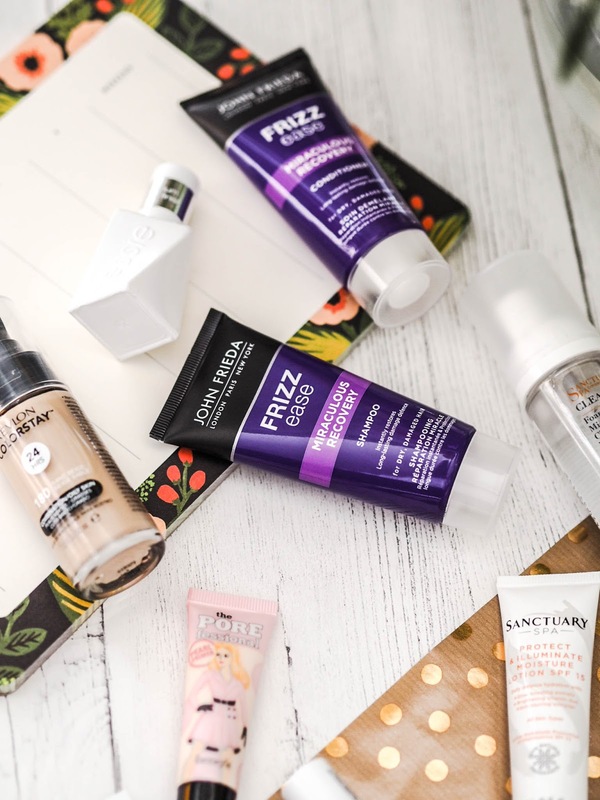 John Frieda Frizz Ease Miraculous Recovery shampoo and John Frieda Frizz Ease Miraculous Recovery conditioner are long time favourites of mine, and miniatures are so handy to have. This combination works wonders for my hair, it just makes it that little bit softer. Unfortunately, I still have to use my straighteners afterwards, but it’s not such a chore compared to when I use regular hair products. I also picked up a couple of skincare bits because my skin was in dyer need of some attention. 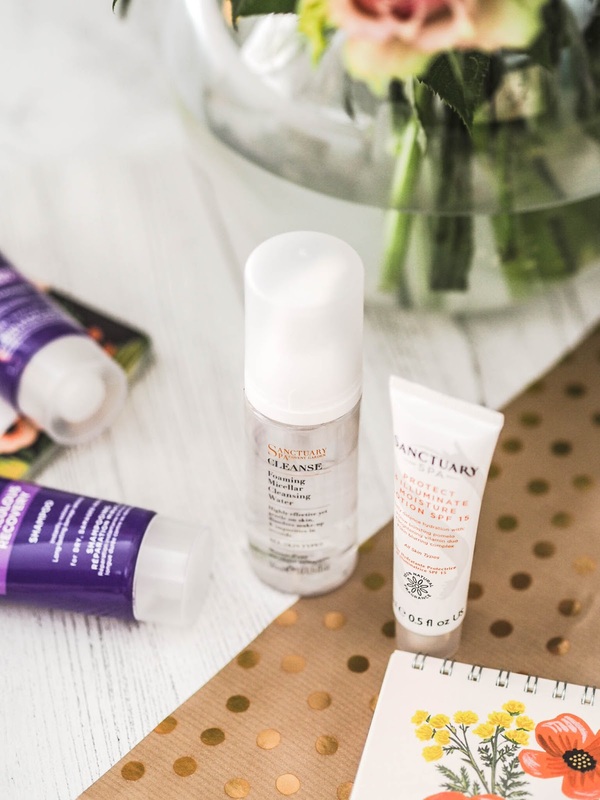 I really enjoyed using the Sanctuary Foaming Micellar Water, and I was pretty surprised at how effective it was. Admittedly, I bought this thinking it was a foaming face wash, the disappointment was real. I guess your girl can’t have enough cleanser though. I also purchased the Sanctuary Illuminating Moisture Lotion. I loved using this, especially under makeup. You could instantly see a difference in my under eye area. Even without ever using it before I can imagine this is kind of a dupe for Bobbi Brown Hydrating Eye Cream just from other bloggers reviews alone. Revlon ColorStay Makeup For Combination/Oily Skin is my absolute favourite high street foundation, period. It is the closest you will ever get to Estee Lauder Double Wear at a fraction of the price. This a repurchase multiple times over. I love trying out new primers, I mean, Benefit Porefessional Pearl Primer isn’t exactly new but I still hadn’t given it a whirl yet. Like with many primers I always struggle to keep with just one. It’s like my skin becomes immune to it after finishing it, never to be used ever again. I quite like the texture of it, it is far more superior than the original Benefit Porefessional Mattifying Primer in my opinion. I always begrudge paying a lot of money for primers, even though they are probably one of the most important makeup steps. I have reviewed these 2 Essie Gel Nail Polishes in full here. Rapid White Instant Whitening Toothpaste is the one. I think I may prefer this over my all-time favourite; Pearl Drops. I can feel it tingling and working, and as you may know I bleach my teeth on occasion and I feel like NAME is a great in-between daily treatment. Hit me up with your most recent Spring beauty purchases?